WASHINGTON, D.C. – (RealEstateRama) — The National Association of Home Builders (NAHB) today commended Senate passage of the Housing Opportunity Through Modernization Act of 2016, legislation that includes many NAHB-supported bipartisan fixes to U.S. Department of Housing and Urban Development programs. “This bill contains a number of reforms to increase access to affordable rental housing, provide assistance to low-income renters and facilitate homeownership,” said NAHB Chairman Ed Brady, a home builder and developer from Bloomington, Ill. Streamline inspection requirements in the Housing Choice Voucher Program, which will allow voucher holders to move into their units more quickly. The changes will level the playing field for voucher holders who are competing with market-rate renters who can move into a unit immediately. Allow the contract terms of HUD’s Section 8 Project Based Housing Choice Voucher program to be extended from 15 to 20 years. This will help facilitate the use of project-based vouchers within the Low Income Housing Tax Credit properties. Protect Section 8 Housing Choice Voucher residents from displacement due to fluctuations in the Fair Market Rent, which determines payment standard amounts for the voucher program. 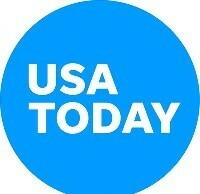 This protects voucher holders from economic factors beyond their control and allows owners to retain good tenants. Change the Rural Housing Service Single Family Guaranteed Loan Program so that it will be current with other government loan programs while providing efficiencies for home buyers and lenders. Reduce current FHA regulations surrounding existing condominium projects, including streamlining project certification rules and reducing owner-occupancy requirements. Easing restrictions will assist first-time home buyers and condo owners who want to sell their condo and move up to a single-family detached home. The House approved a companion bill earlier this year. 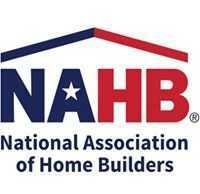 NAHB urges President Obama to quickly sign this legislation into law.